Mortality is very much on the mind of John Prine on this, his first album of all-new songs in 13 years. Understandably. After all, this is a man who has survived lung cancer and squamous cell cancer, the latter of which took a toll on his vocal cords. He's also had two knee replacements and a hip replacement. "All the TSA guys know me," jokes the legendary 71-year-old singer-songwriter. There are odes to the Almighty ("Boundless Love") and reflections on human limitations ("God Only Knows"). Prine's even lining up activities for the afterlife ("When I Get to Heaven"). All of which does not mean that this CD is a somber one. 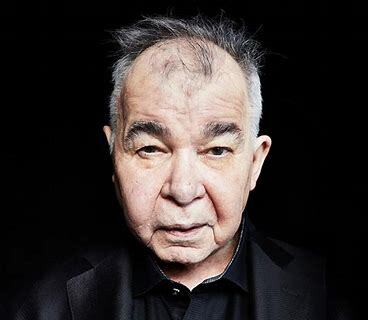 In fact, a somber John Prine album would be extremely oxymoronic. He's never shied away from serious topics, but there's always been an underlying element of fun in even his heaviest tracks. Even if sometimes the only fun is the joy of a perfectly-turned phrase. "Egg & Daughter Nite, Lincoln Nebraska, 1967 (Crazy Bone)" is an upbeat exercise in nostalgia for an extinct way of life and keeping one's joie de vivre even in an old folks home when "...you're half out of your head / and you probably pissed the bed."